When we were kids, we can all remember our version of playing with blocks. The childhood fun that playing with blocks gave to us has given us the knowledge of how to put things together and see how they fit in the grand scheme of everything, including the building blocks that come together to erect a sturdy house. 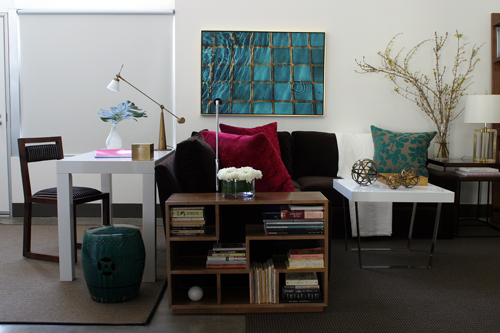 For years, we’ve seen the traditional building blocks that make the standard home. 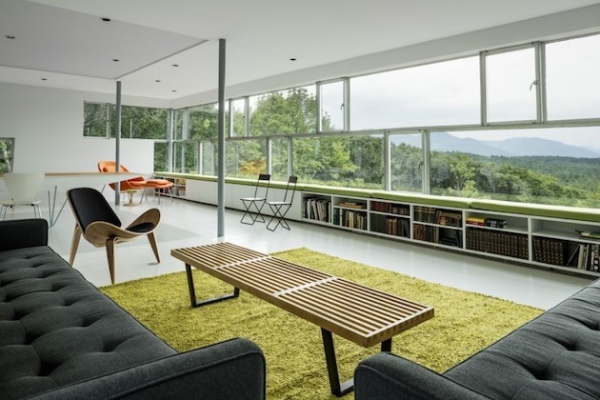 However, in more recent years, we are seeing a rise in unconventional styles of creating homes that seek to materialize new and exciting trends in a constantly progressing collective society. 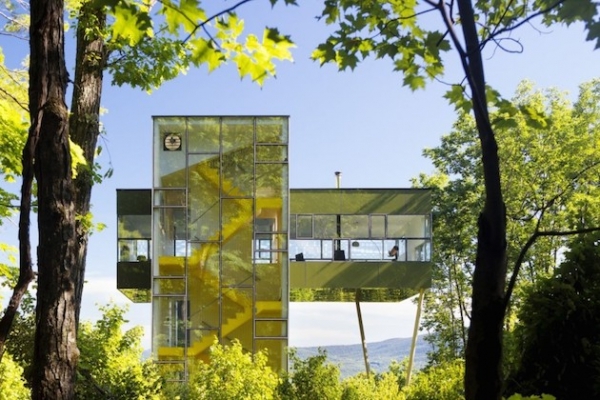 Today, we get to explore the extraordinary architecture style of the glass tower house! 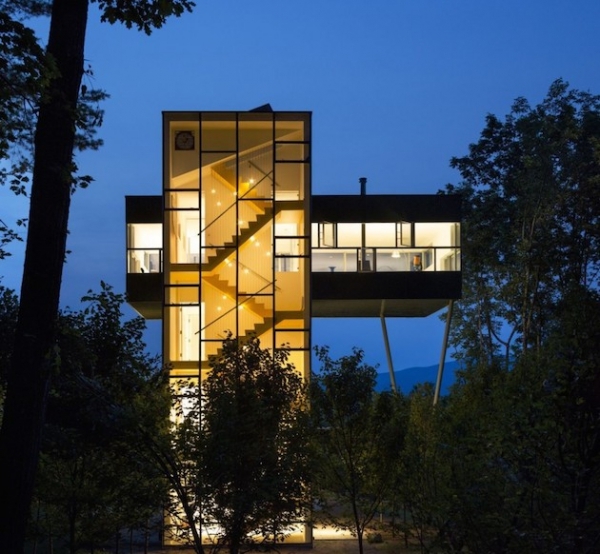 This glass tower house is brought to us by Peter Gluck and Partners, an award-winning architecture firm in New York. 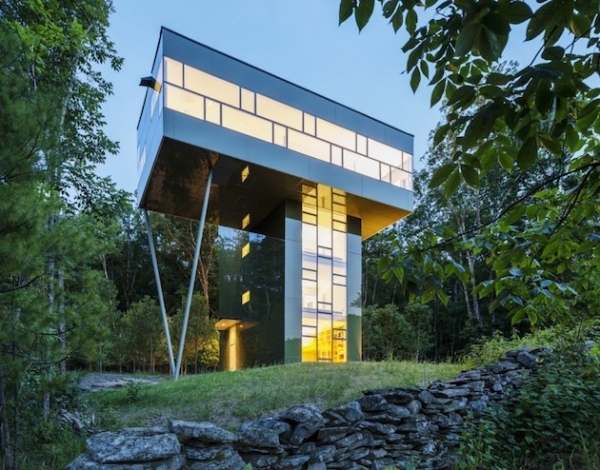 Located in New York along with its creator, this home features a truly outstanding design that resembles someone putting together the building blocks of life! 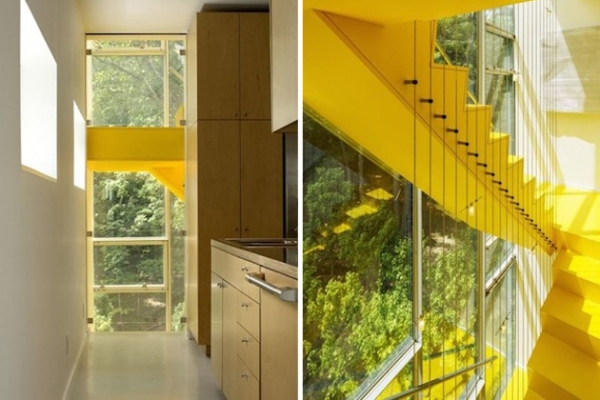 Thanks to Gluck+, the interior design of this glass tower house contains a vibrant yellow as its main color, which seeks to bring out the beautiful colors of the leaves of the trees surrounding it. To further blend in with its natural environment, hints of greens are added to the mix to complement the wooden hues as well. 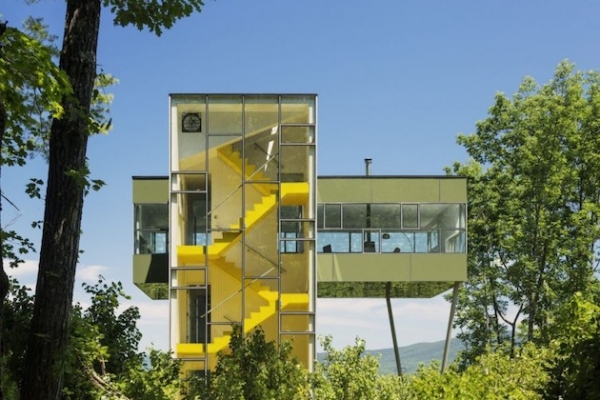 With a pioneering structure, vivacious colors, and fun interior shapes, this glass tower house would be the most creative adult playhouse!